Where Divers Dare. . .
Due out in April 2016, this fantastic book chronicles the hunt for and discovery of the U-550. 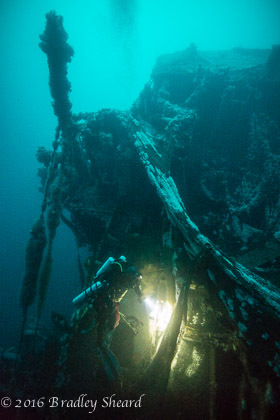 "In the tradition of Shadow Divers, this is the gripping true account of the search for German U-boat U-550, the last unfound, diveable wreck of a U-boat off the United States coast, and the battle in which it was sunk. On April 16, 1944, the SS Pan Pennsylvania was torpedoed and sunk by the German submarine U-550 off the coast of Nantucket, Massachusetts. In return the sub was driven to the surface with depth charges, and then sent to the bottom of the ocean by three destroyer escorts that were guarding the naval convoy. 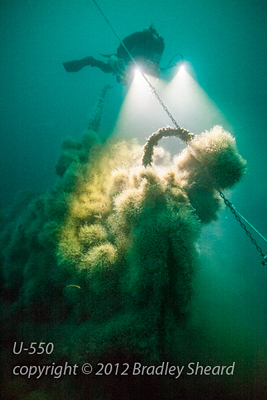 For more than sixty years the location of the U-boat's wreck eluded divers. 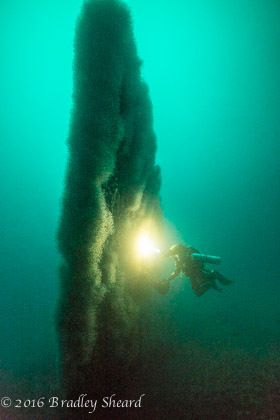 In 2012, a team found itÑthe last undiscovered U-boat in dive-able waters off the Eastern Seaboard of the United States, more than three hundred feet below the surface. 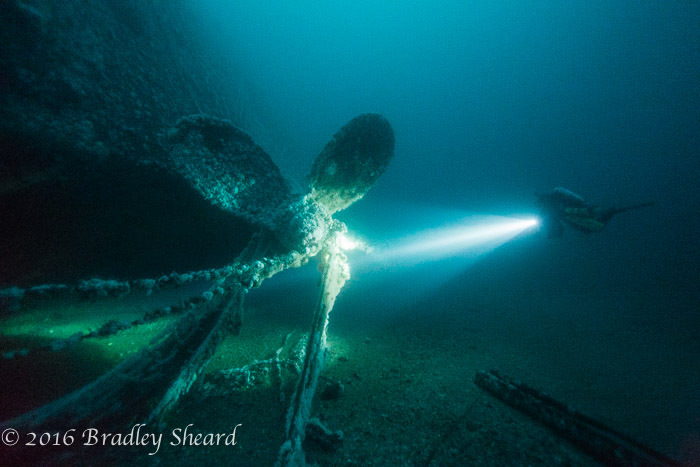 This is the story of their twenty-year quest to find this "Holy Grail" of deep-sea diving and their tenacious efforts to dive on this treacherous wreckÑand of the stunning clash at sea that sealed its doom and brought the Battle of the Atlantic to America's doorstep." Rounding the fantail of the tanker Pan Pennsylvania after a long descent to the bottom 335 feet down, Joe Mazraani and I were awestruck as we came face-to-face with the ship's monsterous propeller (it looks much larger in person than in this photo!). If felt like the scene in Titanic documentaries when the submarine Alvin turns on her lights to illuminate that massive propeller. 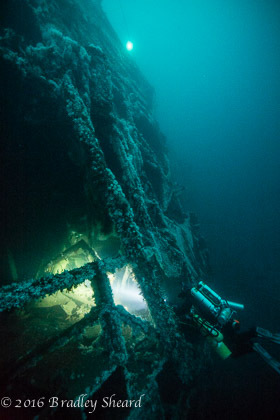 Scenes from the massive tanker Pan Pennsylvania: (left) Joe Mazraani swims beneath the ships gigantic rudder, while the ship's broken fantail sits nearly on its port side in the distance; (center) Mazraani explores wreckage beneath what appears to be a stern gun; (right) Peering into the engine room throught the skeletal remains of the ship's decking. 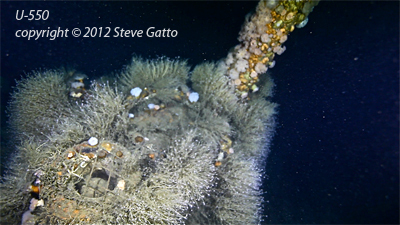 The large, intact stern section of the WW2 tanker Pan Pennsylvania has been located and dived by a team led by Joe Mazraani aboard the research and dive vessel Tenacious. Pan Pennsylvania was a 516-foot long, 11000-ton special variant T3 tanker, built by the Welding Shipyard in Norfolk Virginia, and delivered to National Bulk Carriers in November 1943. At the time of her sinking she was one of the world's largest tankers. The tanker was struck by at least one torpedo fired by the German submarine U-550 on April 16, 1944, approximately 130 miles SE of Montauk, NY. U-550 was in turn attacked and sunk two hours after torpedoing the "Pan Penn" by the US Coast Guard and Navy destroyer escorts Joyce, Gandy, and Peterson. The Pan Penn suffered 25 fatalities from a crew of 9 officers, 41 seamen and 31 Armed Guardsmen, who were on board to man protective deck guns. During the anti-submarine engagement, Pan Pennsylvania was set on fire by stray shells from the DE's. The tanker soon turned upside down and floated as a derelict for two days until sunk on April 18 by US Navy aircraft and shellfire. 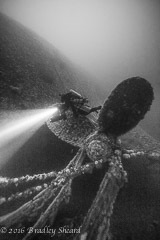 The wreck of Pan Pennsylvania, then thought to be whole, was first dived in 1994 and was found lying partially upside down on the ocean bottom in 240 fsw. 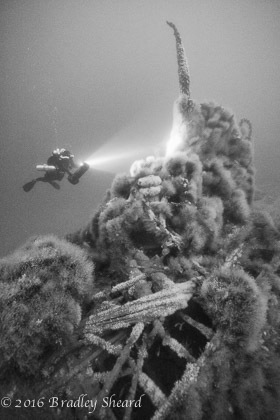 The newly found stern section lies on its port side in 340 fsw, and is separated from the wreck site of the bow section by a considerable distance. 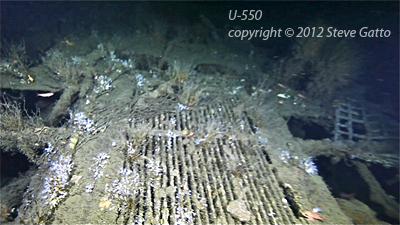 The team located the new wreckage while searching for U-550. The team undertook two side-scan sonar expeditions to search for the elusive German submarine in 2011 and 2012. 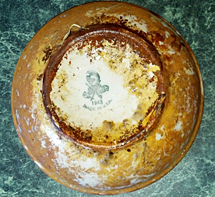 In addition to finding U-550, one of the search trips yielded an unknown large contact, which was subsequently dived as part of a 2013 expedition and determined to be the stern of Pan Pennsylvania. 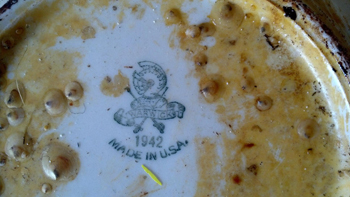 Confirmation of the wreck's identity is based on it's close proximity to contemporary Eastern Sea Frontier positions, the approximate ship's beam and unusually tall hull with two additional decks, as well as china plates marked "Made in USA" with the dates "1942" and "1943." The dives were conducted from Mazraani's 45-foot vessel Tenacious. 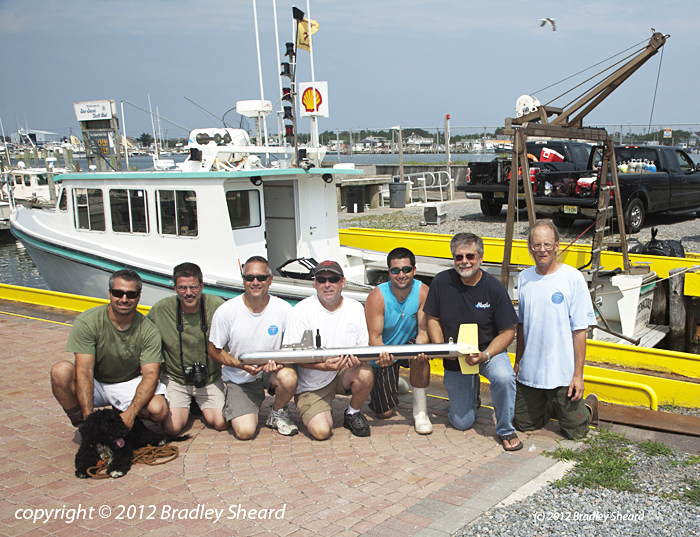 The dive team included Steve Gatto, Joe Mazraani, Harold Moyers, Mark Nix, Tom Packer, Brad Sheard, Eric Takakjian, and Anthony Tedeschi. 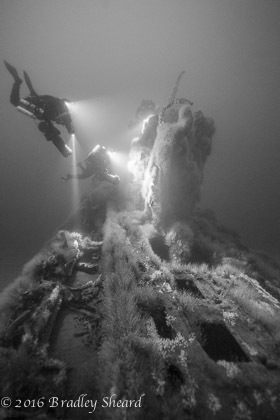 A seminar on the discovery of U-550, being presented at the 2014 TEKDiveUSA conference in Miami on May 17-18, will include new details of the Pan Pennsylvania wreckage. Author Randall Peffer's book about the team's discoveries, tentatively titled Diving the Last U-boat, will be forthcoming from Berkley/Caliber of the Penguin Group in June 2015. 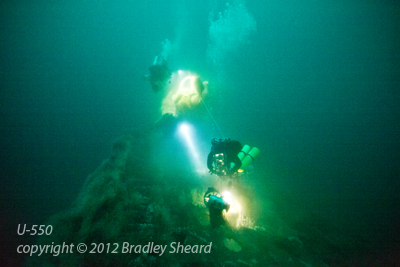 In 2013 and 2014 we continued to explore the wreck of U-550: (left) Mark Nix lights up the port torpedo tubes on the still knife-edge bow of the U-boat; (center) Mark Nix next to the conning tower of the submarine, her attack periscope still extended; (right) Anthony Tedeschi and Joe Mazraani light up the submarine's conning tower. 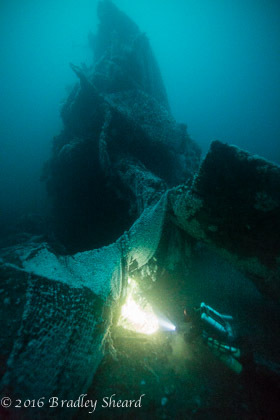 On July 23, 2012, after years of hard work, research and multiple field searches, the final resting place of the World War II German submarine U-550 was finally discovered. Finding the submarine, one of the last undiscovered German U-boats sunk off the American coast during the Second World War, has been of interest to historians, World War II buffs, and divers for many years. Previous efforts to locate the wreck, however, have proven unsuccessful. The U-boat was finally located using side scan sonar technology in approximately 100 meters of water south of Nantucket Island, Massachusetts, where she was reported sunk in 1944. 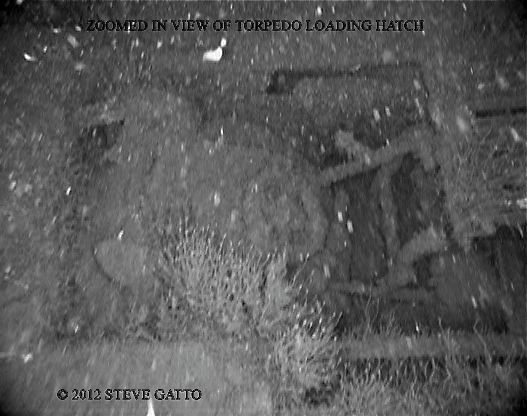 U-550 was found lying mostly intact on the ocean bottom with a slight list to port. 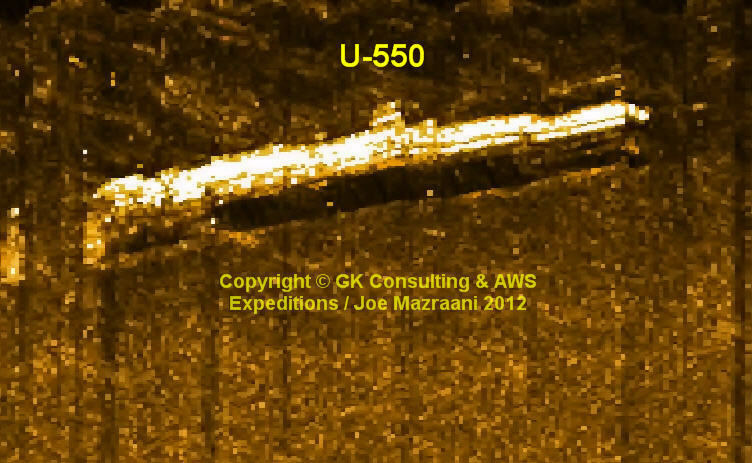 Photographic and sonar imaging by the expedition team were used to identify the wreck as that of a World War II German submarine, and combined with the wreck's location relative to the historical sinking position, confirm that the find is that of the elusive U-550. Members of the discovery team (in alphabetical order) are: Steve Gatto, Garry Kozak, Joe Mazraani, Tom Packer, Brad Sheard, Eric Takakjian and Anthony Tedeschi. On April 16, 1944, the German submarine U-550, a type IXC/40 long-range U-boat under the command of Kaptitanleutnant Klaus Hanert, put a single torpedo into the stern of the 10,017-ton American tanker Pan Pennsylvania. The Allied tanker was in convoy and bound for England loaded with 140,000 barrels of gasoline at the time. Following the torpedo explosion, the ship took on an immediate list to port, and when a fire broke out in the engine room the tanker was abandoned in short order. 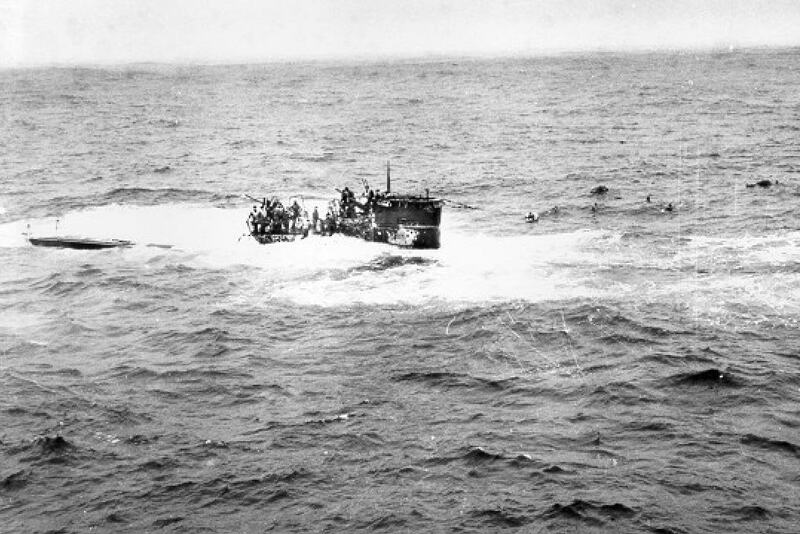 The convoy escorts picked up 56 survivors, leaving 25 men missing out of a crew of 81. After picking up the survivors from the Pan Pennsylvania, the U.S. Navy destroyer escorts USS Joyce, Peterson and Gandy combined their efforts to bring swift and fatal retribution to the attacking submarine. Picking up a solid contact with her sonar gear, USS Joyce closed on the target and made a depth-charge attack that quickly brought the U-550 to the surface. Gunfire from all three escorts converged on the surfaced submarine as German sailors poured out of her hatches, briefly returning fire with their own weapons. Meanwhile, USS Gandy rammed the submarine aft and the Germans abandoned ship. A muffled explosion aboard the submarine indicated the crew had set off scuttling charges and U-550 sank stern first. Twelve survivors from the submarine were picked up by the destroyer escorts, while 42 men were lost. Patrol boats picked up the bodies of three German sailors outfitted with escape gear during the next several weeks. The tanker Pan Pennsylvania capsized and drifted for two days, her cargo of gasoline on fire, before finally being sunk with gunfire.